Apparel is a great marketing tool. We take your apparel to the next level by creating unique and creative designs that makes prospective clients take notice. We are unique in that we offer no minimums and no maximums, while always creating the highest quality apparel. 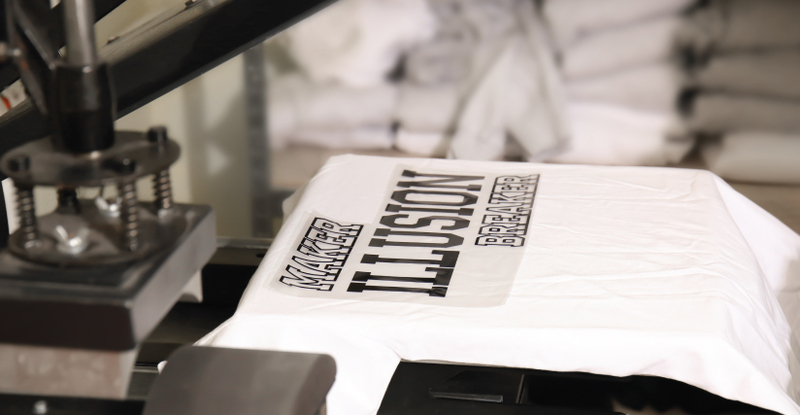 We have 2 different methods we use – screen-printing and thermal imprinting. Thermal imprinting has the same life-span as screen-printing, sometimes even longer, but is better for full color designs and/or small quantities. The advantage of screen-printing is that the price decreases dramatically the larger quantities you order. We offer screen-printing for multiple types of fabric for the best durability and appearance.